Last week students at The Liverpool Institute for Performing Arts (LIPA) were given a once-in-a-lifetime opportunity to learn from one of Hollywood’s leading actors. 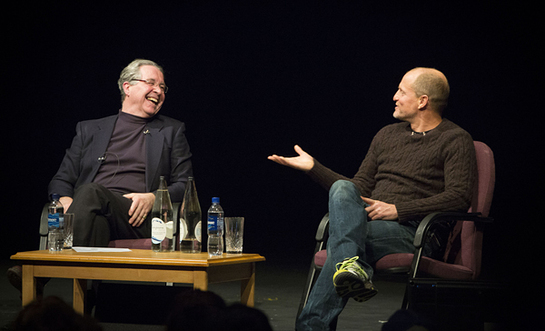 Woody Harrelson visited LIPA to take part in a one-hour question and answer session with students during which he talked about some of his most famous and celebrated roles. Speaking to a packed and excited audience in LIPA’s Paul McCartney Auditorium, the Oscar-nominated and Emmy-winning actor reflected on his work over the last three decades. The conversation was chaired by the Founding Principal/CEO of LIPA, Mark Featherstone-Witty, who introduced clips throughout the session from Harrelson’s roles in films such as ‘Natural Born Killers’ and ‘The Messenger’ (for which he received one of his two Oscar-nominations), last year’s acclaimed detective drama ‘True Detective’ and the sitcom ‘Cheers’, the show which first brought him to the public’s attention. Woody Harrelson’s appearance was the latest of LIPA’s regular masterclasses and question and answer sessions, which give its students the opportunity to learn from successful figures across different areas of the performing arts industry. In the past, LIPA has hosted sessions with Sir Ian McKellan, Alan Rickman, Dionne Warwick, Dawn French, and Will Young alongside luminaries in senior roles that are about making performance possible (such as award-winning producers and lighting designers). 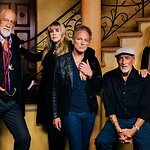 LIPA is located in Paul McCartney's old school, the Liverpool Institute for Boys, which underwent a multi-million-pound renovation to turn it into a state-of-the-art performing arts higher education institution. It was founded by Paul and Mark Featherstone-Witty and opened in 1995 with the aim of providing the best teaching and learning for people who want to pursue a lasting career in the arts and entertainment industry, whether as performers or those who make performance possible. For further information about LIPA please click here.